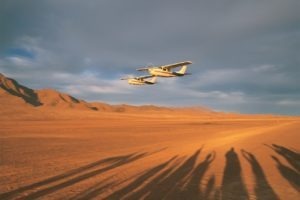 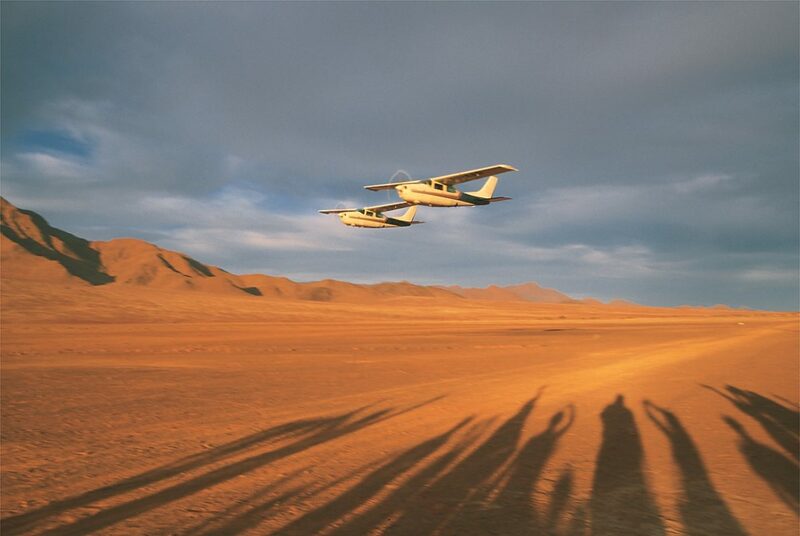 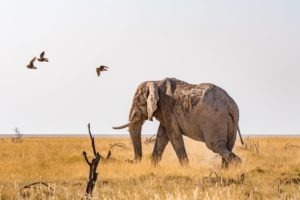 Frankly, one of the best and most memorable experiences in the whole of southern Africa! 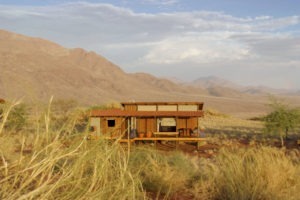 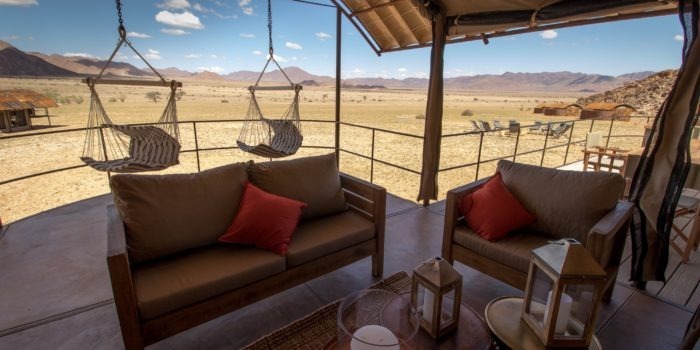 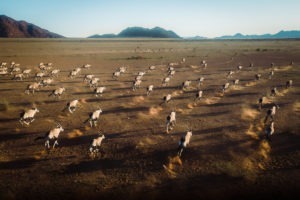 A VERY special ecolodge embedded in unique desert scenery with outstanding commitment to the conservation of the NamibRand. 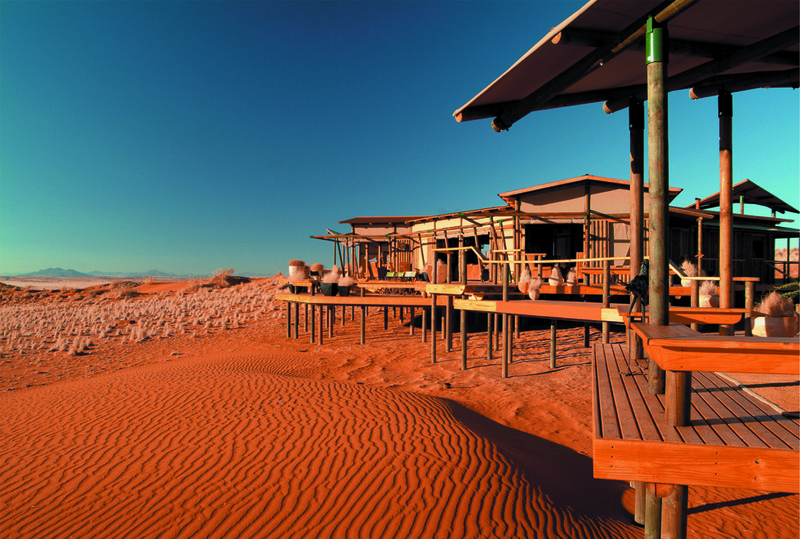 Wolwedans Dunes Lodge is located on top of a dune plateau offering panoramic views into the NamibRand Nature Reserve. 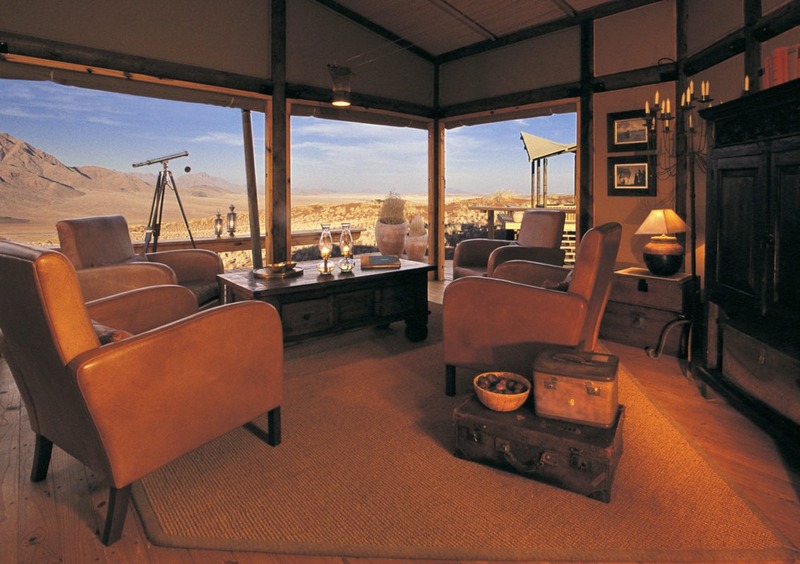 The elegant design of the lodge consists of a mixture of wooden structures and canvas blinds enabling an open space to the desert beyond. 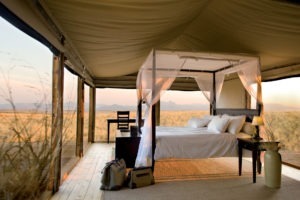 This unique accommodation ideally combines the ambience of a tented camp and with the comfort of a permanent building. 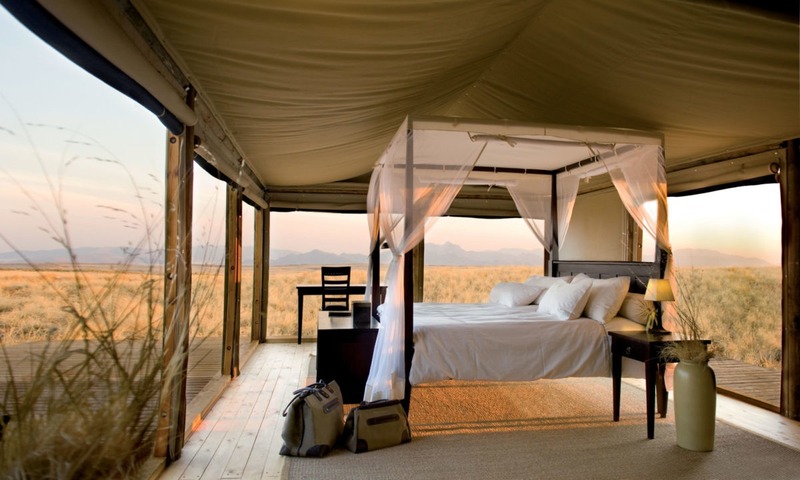 When leaving the canvas blinds open you will sleep right under the stars – a truly memorable experience. 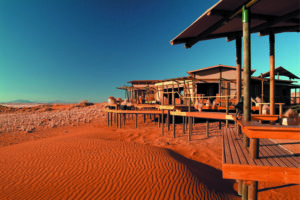 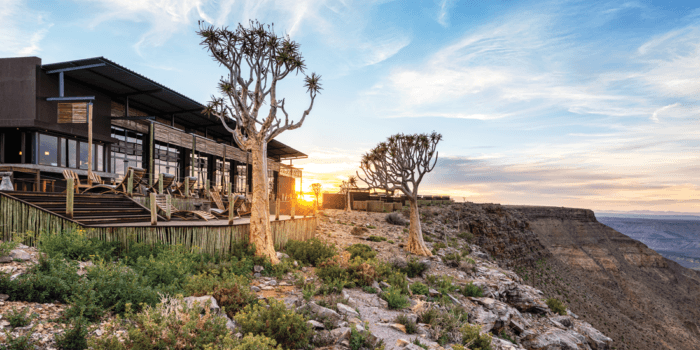 The main building offers dining spaces, a swimming pool, sundowner decks and a fire place – all in suspended above the sands of the desert. 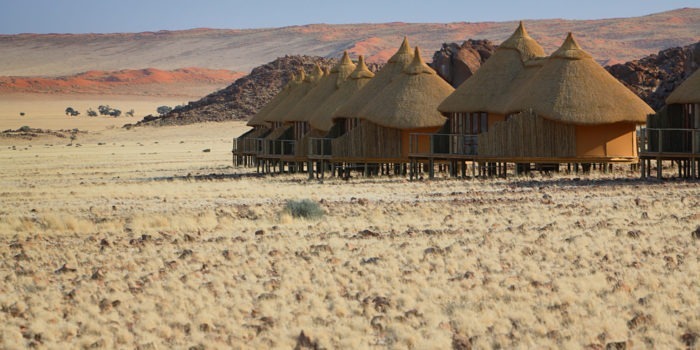 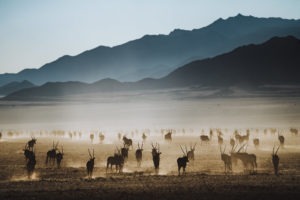 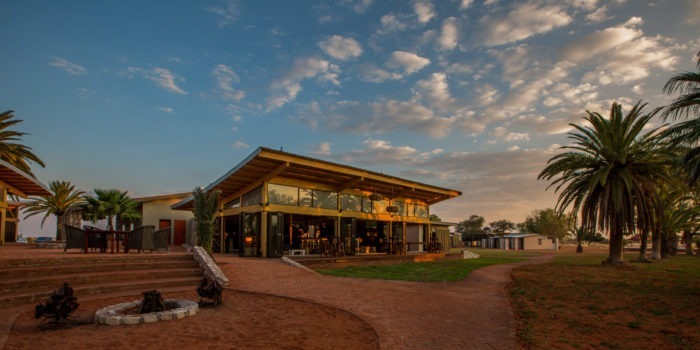 Wolwedans consists of four lodges in all, as well as staff village, and the whole operation is truly committed to sustainability. 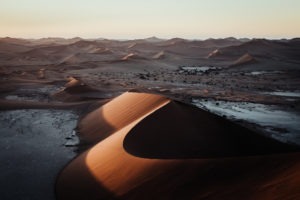 Water is from an underground spring, 85% of power is from solar, fruit and vegetables are grown in green houses, herbs under mesh and the structures are built with sand filled plastic water bottles rendered with natural resources. 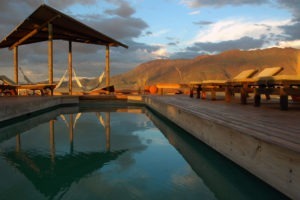 No wonder the lodges have won numerous prizes as sustainable ecolodges! 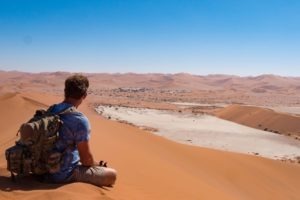 Also, you are able to spend your days joining a variety of activities: soar the desert skies in a hot air balloon, learn about small and large desert dwellers on a scenic drive, or explore the desert on foot on a walking safari. 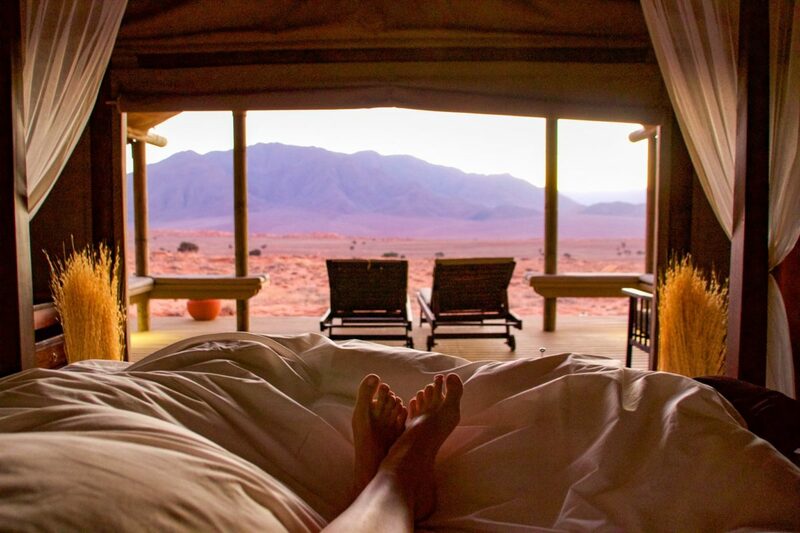 Breathtaking location capturing the beauty of the desert in an unforgettable way. 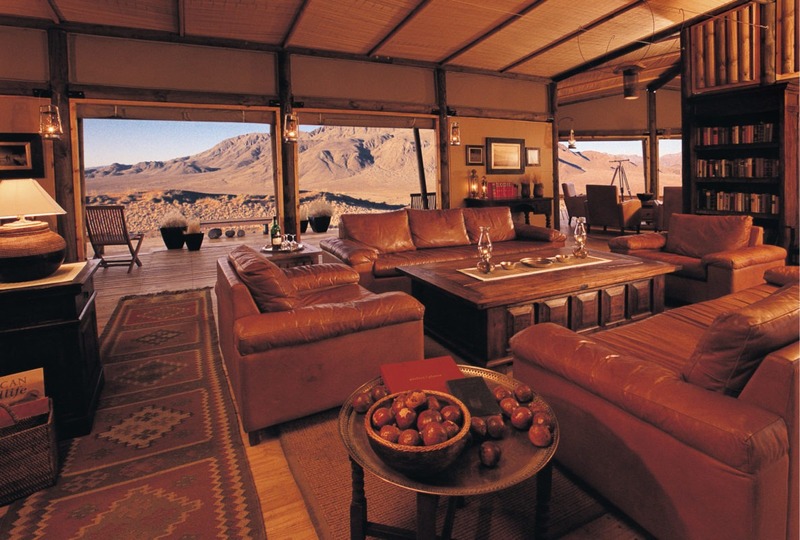 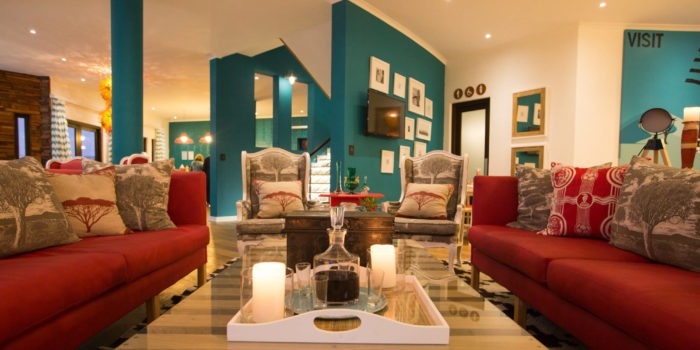 The lodge will leave you with a deepened appreciation for the natural world we live in. 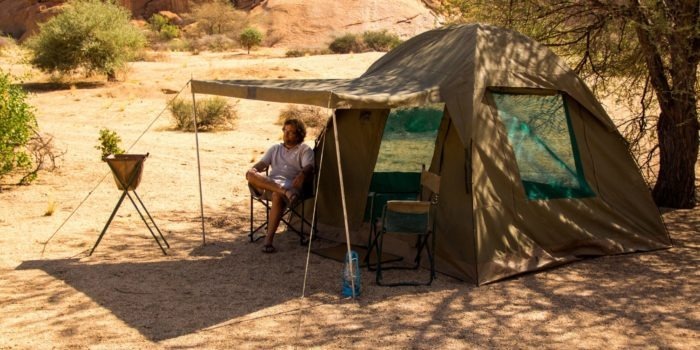 Designed to minimize the environmental impact whilst using sustainable technologies. 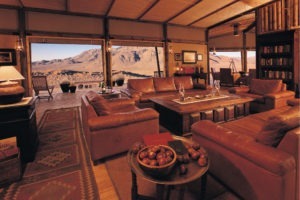 The nine chalets are built in a remote setting with a private verandah and views right into the desert. 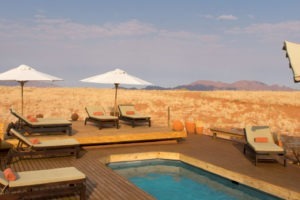 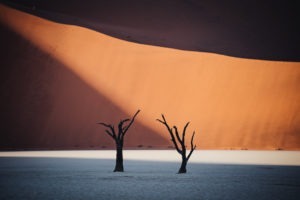 Perfect location to explore the unique landscape of the NamibRand Nature Reserve.